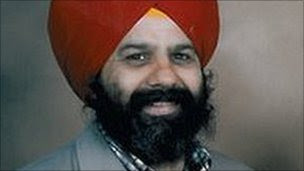 The murderers of Gurmail Singh, the Huddersfield shopkeeper, were jailed for life today. There is a link here to an Observer article by Euan Ferguson written in March this year. It is exceptionally moving.